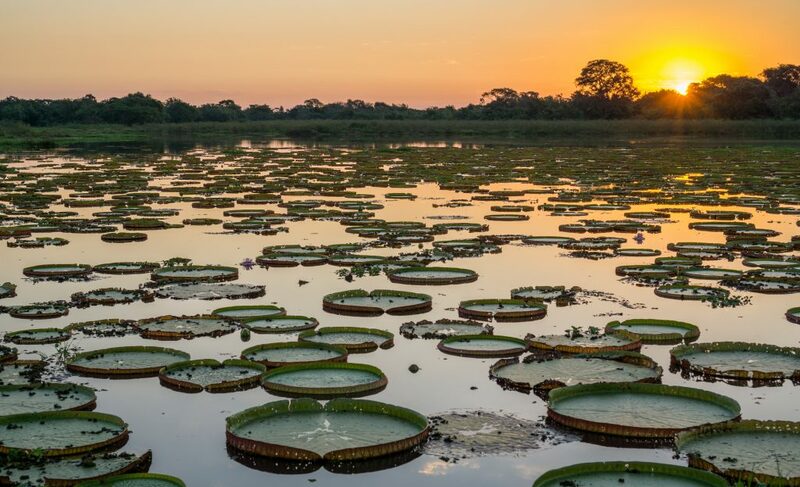 Brazil’s Pantanal region would have to be one of the most underrated destinations on earth. The world’s largest wetlands, home to an intoxicating collection of rare and precious animals, is South America’s premier wildlife spotting destination, thanks to its distinctive lack of thick vegetation, the one primary characteristic of the Amazon rainforest. Out here, animals are not just everywhere but are also visible. 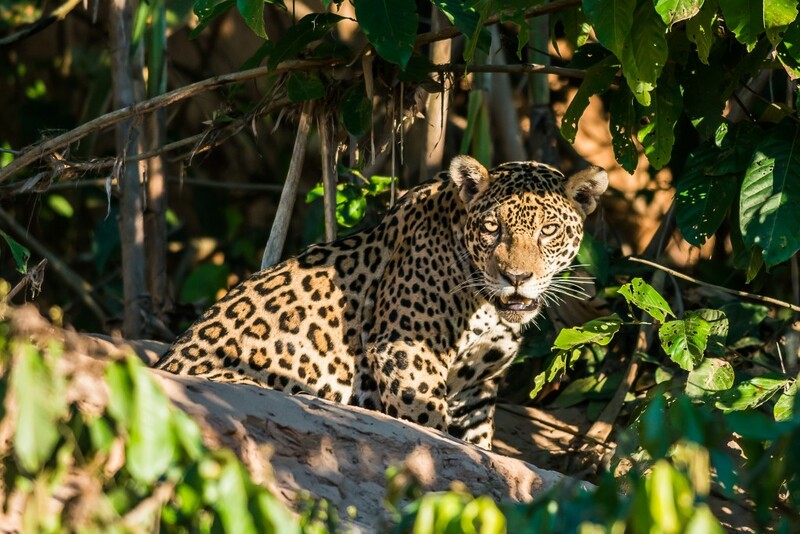 Unlike in the Amazon, where they hide behind vertiginous trees and take shelter behind impenetrable bushes, the wildlife of the Pantanal has precious little to hide behind, especially during the dry season. This results in a phenomenal amount of animal spotting, whether you tour by boat, on foot or on horseback. Head deep into the Pantanal, disconnect from your everyday life and discover an animal kingdom whose relative anonymity is matched by its magnificent grandeur. 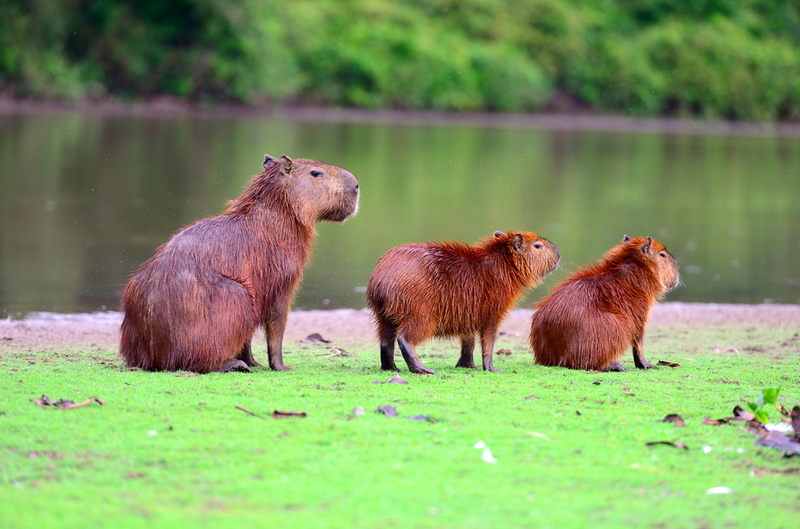 From jaguars to capybaras, and toucans to caimans, this haven of flora and fauna is one of Brazil’s most spectacular highlights and a destination no animal-lover should miss visiting. Pantanal in Brazil. Photo credit: Shutterstock. Aside from the spectacular and very unique scenery, the Pantanal is all about wildlife: this is the primary reason people flock here every year. At the top of everyone’s must-see list is the jaguar, of course, a shy and elusive feline that is native to the Americas. The Pantanal is the best place in the whole continent to spot one and your chances of bagging that ultimate sighting, all things considered, are actually quite good given enough days. 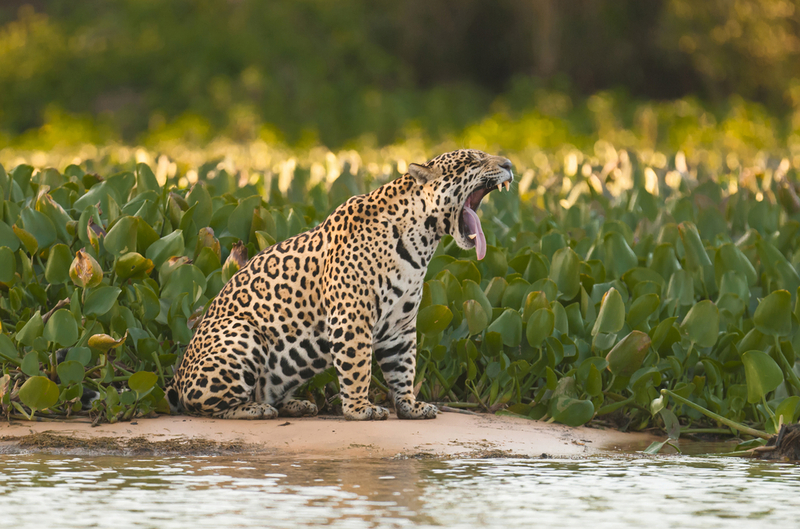 Although the jaguar is the Pantanal’s main drawcard, it’s actually the daily sightings of all the other exotic creatures which remain in most visitor’s minds and hearts forever more. 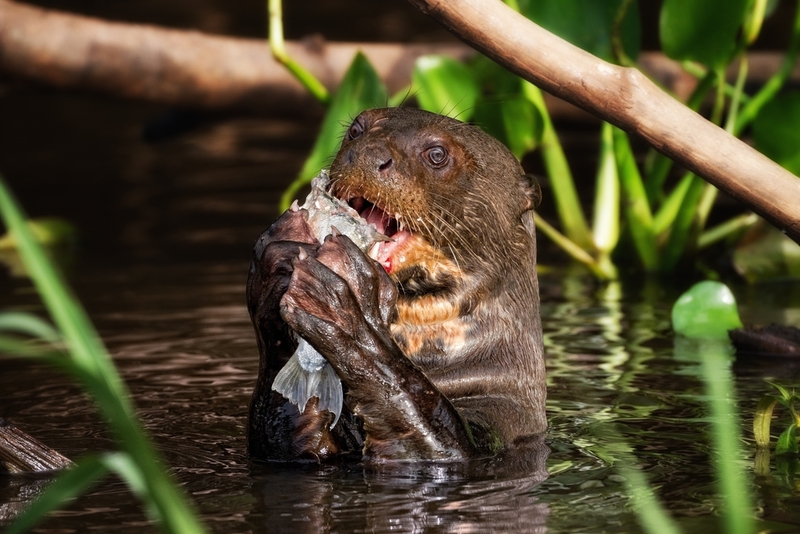 From the moment your Pantanal adventure begins, you’ll be ticking a plethora of intriguing animals off your wildlife-spotting list, animals like caimans, piranhas, capybaras, toucans, howler monkeys, giant otters, anacondas, tapirs and so many more. 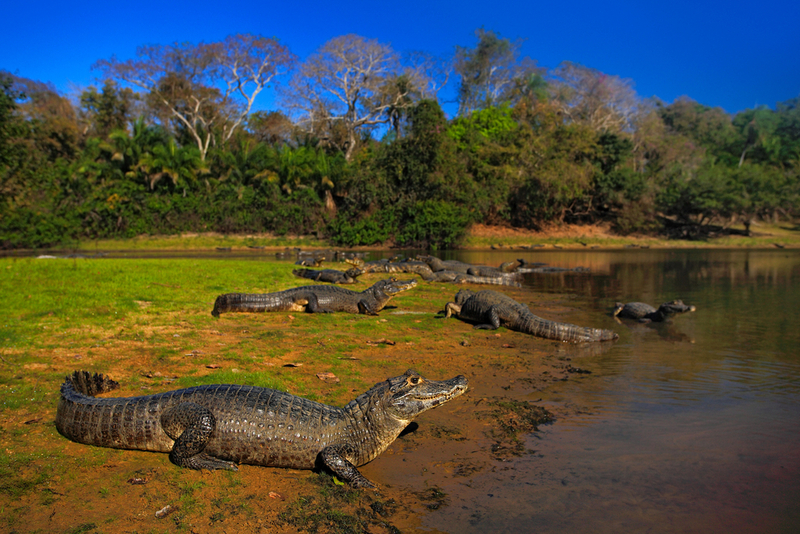 All of these will likely form your Pantanal welcoming party on your first day alone! What makes this exceptional region of Brazil so incredible are also the infinite species of unique birds. Touring with local wilderness guides is what can literally bring this place to life, and learning all about the different animals who thrive here is like living a real-life Planet Earth documentary. On a side note, and by no means secondary, it’s also worth remembering that when you visit the Pantanal, you’ll get the exceptional chance to immerse yourself in some of the planet’s most pristine wilderness. Away from the hustle and noise of the modern world, you’ll enter an incredible wonderland of splendid nature for a few days. The Pantanal, even without its mesmerising creatures, is a highlight all of its own. Given its colossal size, there are two convenient entry points into the Pantanal – one in the north (Cuiaba) and one in the south (Campo Grande), both of which have airports connecting passengers to Rio de Janeiro, Iguazu and Sao Paulo, and other points of interest including Salvador and Bonito. Tours of the Pantanal from either Campo Grande or Cuiaba will undoubtedly include several modes of transport, such as 4WD vehicles and canoes. 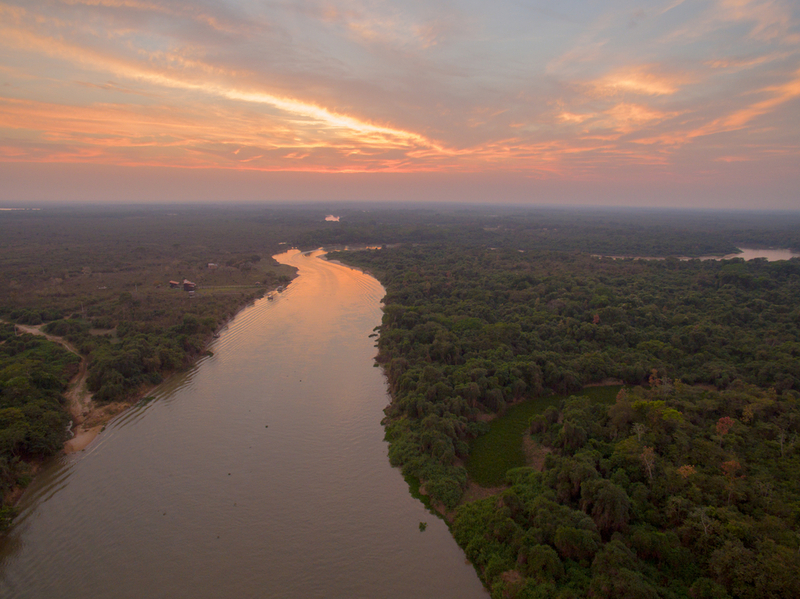 A smattering of jungle lodges and resorts are accessible both in the north and south and both ‘halves’ of the Pantanal boast an immense concentration of wildlife. Choosing which side to visit, therefore, is usually dictated by the direction in which you are travelling, how long you have at your disposal, and where you wish to head to afterwards. Here at Chimu Adventures, we are well versed in all logistical puzzle-solving conundrums! Simply let us know what you’d like to include in your tour of the Pantanal, Brazil and other South American destinations, and we’ll concoct a wicked itinerary which will maximise your time and enjoyment, and minimise hassle. Once in the Pantanal proper, most visitors will choose one lodge (or maximum 2) as base points and head off every day for their wildlife spotting adventures. Day trips on foot, horseback, mountain bike and canoe are the most rewarding way to explore this incredible haven, most especially when you’re accompanied by an enthusiastic and knowledgeable English-speaking local guide. Changing accommodation in the wetlands, where it takes hours to cover just a few kilometres, is more of a hindrance than anything else. To make the most of the wildlife experience in the Pantanal, a place that is bursting with creatures of all sizes, the best you can do is be out there, in the thick of it, for hours on end every day. 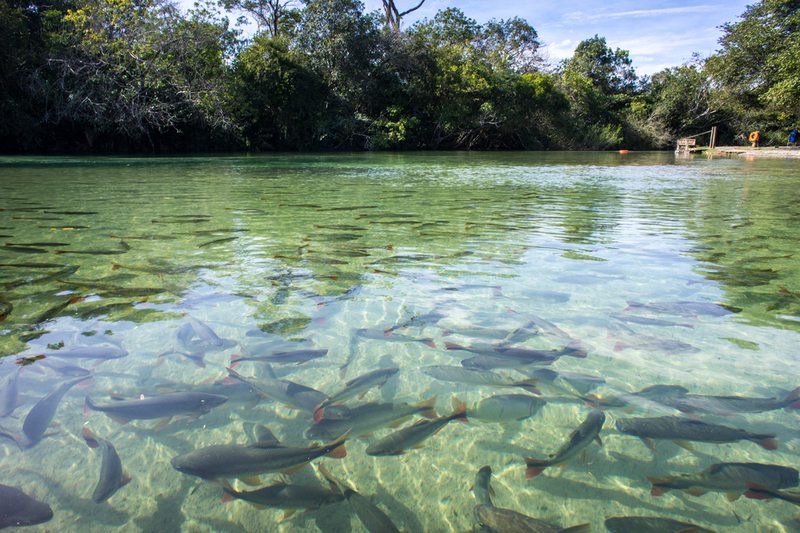 The great majority of visitors will plan a 3-4 day Pantanal visit, perhaps combining it with a 3-day visit to nearby Bonito. This mecca of ecotourism is brimming with incredible natural highlights, some of the cleanest rivers in the world – which are a snorkeler’s dream – and fantastic waterfalls and caves. Bonito is the ideal Pantanal add-on when visiting from Campo Grande, effectively stretching your time in Mato Grosso to about a week. Spend at least 3 days in Rio on your way in (or out) and you’ll enjoy a superb and quite memorable 10-day Brazil experience. 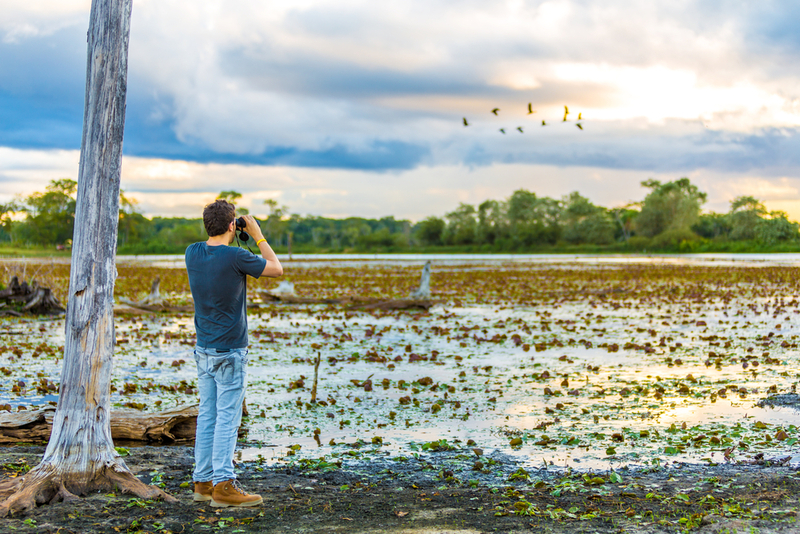 The Pantanal is a stunner at any time of year but if wildlife spotting is top of your list (and it should be) try visiting during the dry season which falls between June and October. It is during this time that animals congregate around bodies of water to drink, and only at this time are you able to safely get about on foot or horseback, and not just by canoe. If you must visit between November and May, then choose to visit from Cuiaba in the northern half of the Pantanal, as this section does not get flooded as much as the south, so animals tend to remain. Moreover, if you don’t mind doing most of your trips by canoe then you’ll definitely enjoy wet season travel, a time when most of the animals will tend to hang around together on the highlands not affected by floodwaters. – Quick-dry fabrics: everything stays damp in the Pantanal, so make sure the clothing you pack are made from quick-dry fabrics, especially as you’ll want to was the day’s sweat off your clothes at the end of the day. – Good walking shoes with non-slip soles are essential. – Pack a hat, sunglasses and bring plenty of high-SPF sunscreen. – Experienced wetlands and jungle visitors will pack separate clothing for their adventures into the Pantanal, usually including 3/4 T-shirts and a bathing suit they don’t mind giving away at the end of the trip. Clothing tends to get very dirty and stained by mud, so we wouldn’t recommend packing your favourite tops. Instead, pack some older gear you won’t mind leaving behind. – Keep your Pantanal bag as small and compact as possible, to make transfers (on canoes etc) much easier. – Binoculars are fantastic in the Pantanal, especially if traveling with kids! – One set of lightweight long-sleeve top and pants, for that hour at sunset when mozzies are most active and for long boat trips. Zip-off pants are absolute genius items of clothing for trips to the Pantanal. Want to get lost in the Pantanal? Then check out the fantastic Brazil tours we have on offer and let us help you pack your bags for a Brazil wildlife adventure of a lifetime.